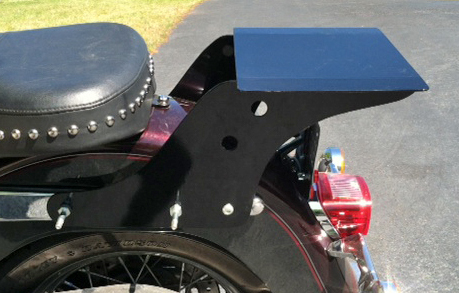 The Wompus Rack - If you need a heavy duty motorcycle rack for your ride, you have come to the right place. 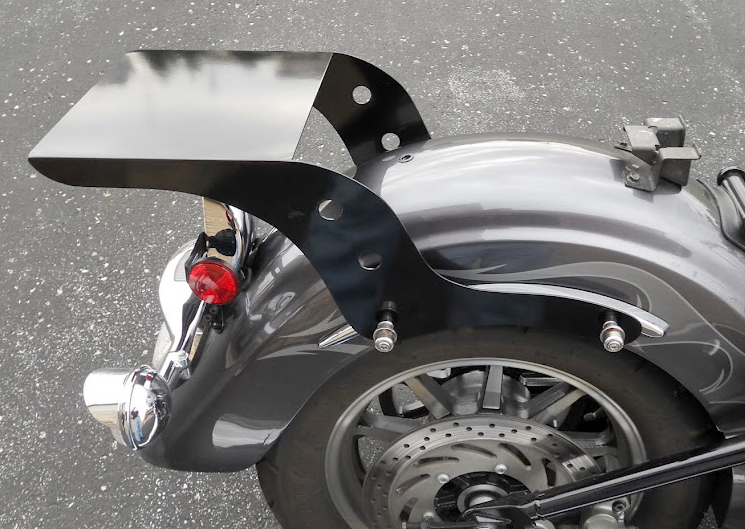 These custom built steel bike racks will hold any size trunk you want to put on them with ease. Made in America - Made to Last. All racks are hand made from 12 gauge plate steel. Welded together for strength and available in Flat Top or 4 Bar Design styles. Racks are powder coated black to match your frame. Since each rack is made to order we can also do bare steel so you can have it chromed or painted to your own color. Since 1999, Wompus racks have been shipped all over the world. It all started with a simple vision and as you can see in the picture at the top of the page, the original rack is still going strong. That's Mike's personal ride and it has logged thousands upon thousands of miles in an array of road conditions. Rain, heat, salt and potholes are no threat due to the strength of the materials and the premium powder coating applied in the final stage of the construction process. Wompus Inc. uses only 1st grade 12 gauge plate steel as the foundation for all of it's products. As a result, Wompus racks will continue to meet and exceed the demands and stresses imposed by the road. 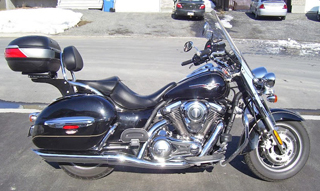 Note: Other manufactured stock chrome luggage racks are too small to mount a travel size trunk on the bike safely and as a general rule they only support about 10 pounds total. But please remember, any rack is only as strong as the bolts that holds it to the bike. important information regarding rack installation.